Lost and Found: L&F is a series devoted to old books which veer from our modern interpretation of historical events. The series devotes itself to seeking out truth which often lies somewhere twixt the gap between understandings. 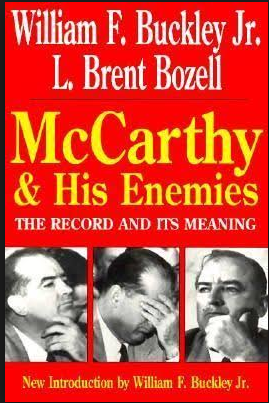 Senator McCarthy launched his assault against US Government security risks early in 1950 with his first speech in Wheeling, West Virginia on February 9th, 1950.
archive.org - Full text of "Investigations of Senators Joseph R. McCarthy and William Benton pursuant to S. res. 187 and S. res. 304; report of the Subcommittee on Privileges and Elections to the Committee on Rules and Administration. Washington, U. S. Govt. Print. Off., 1952"